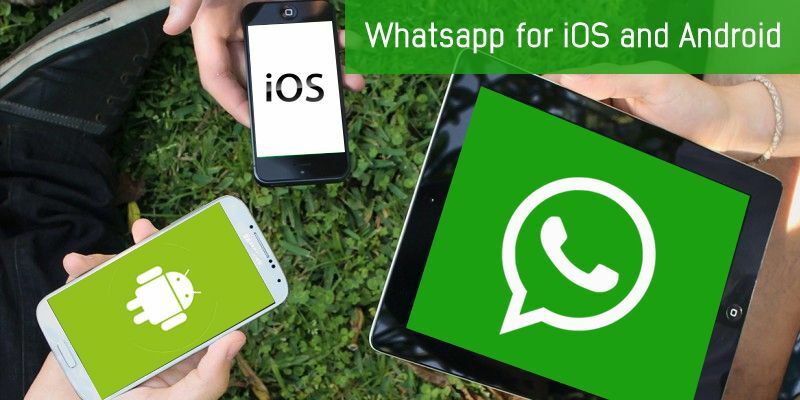 How to Develop an Instant Messaging App like Whatsapp for iOS and Android ? Instant messaging apps are popular because of their real-time delivery feature. They are highly favored and watching an upward trend at a rapid pace, with each passing day. The trend of instant messaging has left back the era of a traditional text (SMS) messaging. Having the highest user base of around 1.5 billion, and 60 billion messages sent per day. Whatsapp leads the instant messaging apps worldwide. In India, its been used by approx 70 million people. At BR Softech, we are acclaimed for developing top-notch instant customize messaging apps like Whatsapp on various mobile platforms (Android, ios, Windows phone). We make use of advanced technology, Extensive Messaging and Presence Protocol (XMPP). We have an excellent team of mobile app developers, having expertise in developing customized chatting app solutions as per the client’s requirements. We are known to develop white label messaging app. We have developed world-class apps like Whatsapp that helps the users to search new people in the world and discover new groups. Whatsapp is leading the market with approx 1.2 billion monthly users around the globe as of 2017. How to Develop a Chat app in three Easy Steps? Explore the designs and selects the one which suits your requirement the best for the instant messaging app. Drag and Drop your desired features. Launch your app on multiple platforms like Google Play and iTunes. Ability to share the multimedia files makes the user feel delighted. Our dedicated team of mobile app developers is expert in developing messaging apps like WhatsApp lustrous chatting apps which allow the users to share various multimedia files and the HD resolution images and videos with your contacts. You get the excellent option of getting connected with various users even when they are offline. We are renowned for instant messaging app development, which gives the key feature to the users so that they can be connected with other users and get the assurance that the essential information they share to others will get delivered even if the recipient on the other side is offline. With instant messaging app development, we provide the user with the option of sharing the screens with the other contact sitting at a faraway location. By this amazing feature, users in the distant location can observe and watch everything, that is being carried out on the screen exactly like Whatsapp. The top class chat apps which are created by our team of app developers, allows the users to create groups plus the user can include en number of contacts in the group. Just like the WhatsApp, you get the stunning option of assigning the group name, status and also the group profile pictures. You can share various images, videos, and locations in the group. You also get the option for leaving the group or deleting the group. Why Choose the BR Softech Services? 1. The Excellent Team of Developers: Get the WhatsApp clone script for any platform at the most affordable price. We provide with amazing customer-centric service of instant messaging app development. Our mobile app developers have expertise in creating great mobile apps as per desirability. 2. Top-Notch Quality: Take your creative idea of an instant messaging app to the next level by opting our top-rated services which focuses on providing the best quality for every project. 3. Best prices: Get the chat application development at the most reasonable price, we provide the services of instant messaging app development as per your needs of the business. Hire our dedicated developers for your instant messaging app development project. Our dedicated developers work on an hourly, part-time or full-time basis. 4. 24/7* Customer Support: We are committed to providing with hassle-free IT services to the clients worldwide. We have a dedicated a team of developers, engineers, and programmers for assisting you at every phase of your app development project. 5. White Label Chat Software: – We provide with white label chat software. It gives the business with new revenue opportunities and can help in marketing. Help your business to grow with improved client satisfaction with us. The Real Cost of Developing an App like Whatsapp? WhatsApp like app development chat app includes backend development, frontend development, and web design, native platforms and quality assurance. Hence, deciding the ballpark to develop a mobile is a little tricky. Cost of the mobile app development depends on its infrastructure. App Design: – The cost of developing an app like Whatsapp differs from platform to platform. IOS, Android, webs all the platforms differ from one another and cost varies depending on the app design on the particular platform. App Size: – Another significant thing which impacts the cost of app development is app size. App size consists the number of features and functionalities depending on that cost varies. Developers Cost: – The cost of making an app as Whatsapp varies from location to location. Location impacts the developers’ cost on an hourly basis. Expertise in the field of developer also impacts the cost of development. App Interaction: – Social media interaction determines the cost of developing the app. It influences the app cost as contains universal linking. Advancement: – Advance features of an app decides the overall cost of the development. Adding features like push notification, Synchronization, app camera and a lot more fluctuate the cost of mobile development. Chat application development team hourly rate also impact the overall mobile app development cost. The hours and associated cost of development like user registration, address book integration, message exchanging and message notification, User profile, multimedia transmission, group chat feature, User status, location sharing, and the ability to search users and chat all are included in the overall costing. If you are looking forward to getting an instant chat messaging app designed? BR Softech is the award-winning mobile app and chats app development company, which provides messaging app development services for all the platforms like iOS, Android by which you get to meet new people and get connected to various people around the globe. Bring your idea to us and we will convert it into reality. Feel free to contact BR Softech, where you will see the manifestation of your wonderful idea into reality.